This legislation enhances dialogue between patient and provider for informed health care decisions. To mark the occasion, a patient-friendly guide is available to assist women with important discussions with providers about their personal breast cancer screening. This bill enables women to learn about their dense breast tissue, an important risk factor for breast cancer which ultimately empowers women to make informed breast health screening decisions that can be life-saving. Nancy M. Cappello, Ph.D., Director and Founder of the two nonprofits Are You Dense Advocacy, Inc. and Are You Dense, Inc. applauds Senators Dianne Feinstein (CA) and Dean Heller (NV) and Representatives Rosa DeLauro (CT) and Brian Fitzpatrick (PA) for the reintroduction of the national Breast Density and Mammography Reporting Act in both the Senate and the House in the 115th Congress. 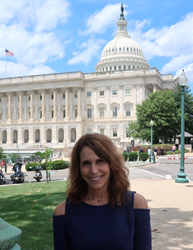 Dr. Cappello recently met with Congressional staff on Capitol Hill to secure the bi-partisan reintroduction of this national standard to disclose dense breast tissue to the patient for shared screening decisions with health care providers. The bill sets a minimum federal standard, as designated by the Secretary of Health and Human Services (HHS), for dense breast tissue notification and recommends women discuss with their doctors whether additional screening is necessary. The bill also directs HHS to study improved screening options for women with dense tissue. Adds Dr. Cappello, “I am grateful to our Capitol Hill team and everyone who worked with us on this important patient-focused bill." To mark the occasion, Are You Dense, Inc. has available online a new, easy-to-read, downloadable guide, Are You Dense? Handy Patient-Guide to Screening Options for Dense Breasts, providing a platform to informed conversations between women and their health care providers about personalized breast cancer screening. “In addition to our patient advocacy on Capitol Hill, I am pleased that this patient-friendly guide, which includes benefits, potential harms, and other considerations of screening options, will be a valuable breast health resource to patients.” The patient guide was prepared by Dr. Cappello with review by Julie S. Gershon, M.D., breast radiologist and a medical advisor to Are You Dense, Inc. The guide references more than 30 scientific studies published in peer-reviewed journals. Research for decades concludes that breast density is a leading cause when mammograms fail to detect cancer, missing up to half of cancers in dense breasts. Women with dense breast tissue may receive normal mammogram reports even if cancer is present because dense tissue can obscure tumors. Research also demonstrates that dense breast tissue is an independent risk factor for breast cancer, surpassing family history, obesity, and later in life childbirth. Currently, there is no national, standardized mandate for health care providers to disclose a patient’s dense breast tissue and discuss its impact on missed, delayed and later-stage cancers. 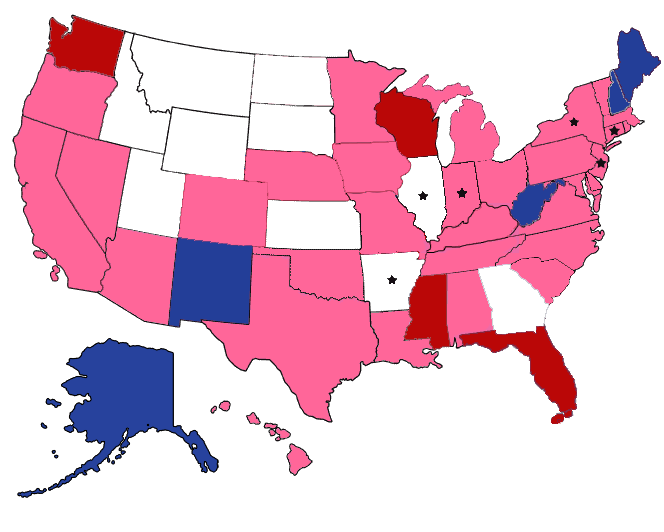 Thirty-one states enacted density reporting legislation since Connecticut’s first landmark reporting law in 2009. 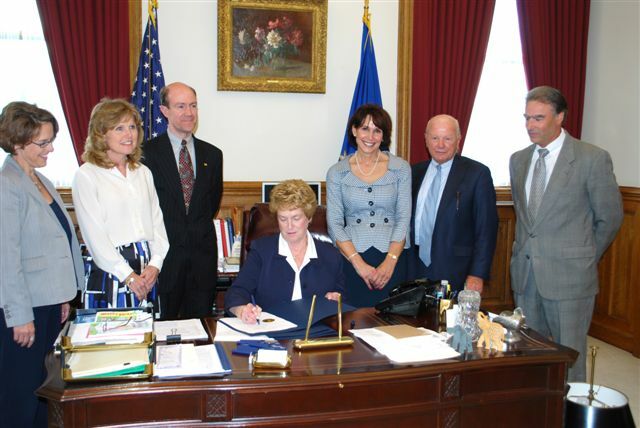 The Connecticut law was inspired by Dr. Cappello whose breast cancer, invisible by mammography screening, was ultimately detected once palpable and at an advanced stage. It was at the time of her stage 3C diagnosis that she was informed that her dense breast tissue masked her cancer for years. She later went on to launch two nonprofit organizations, Are You Dense, Inc. and Are You Dense Advocacy, Inc., which have fueled a global grassroots breast density advocacy movement. For more information about state and federal advocacy efforts visit AreYouDenseAdvocacy.org. For information about educational outreach, research and the free printable version of The Patient-Guide to Screening Options for Dense Breasts, visit AreYouDense.org.